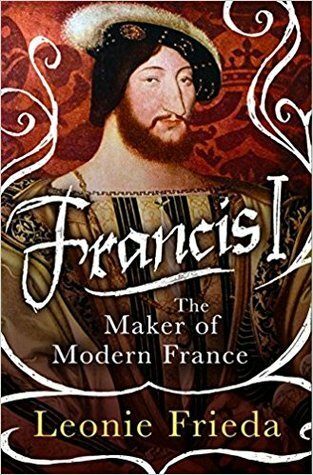 So, this is basically the first book that I’ve read about Francis I… or medieval/Renaissance French history in general. Never gotten there. Growing up, I had a weird obsession with Marie Antoinette, but I didn’t go this far back. I never have, so this makes it a first for me. Was this a bad book? No. It was so easy to read. The writing is so accessible, and I think that’s what helped me get through it. I could easily understand what Frieda was writing about. It was a very book to read and, unlike with most nonfiction, I was able to read it in under a week. But, at first, it was hard because there was a lot of dynastical things stuck in, so I was confused at first when Frieda was introducing a lot of different historical people to make sense of what was going on or why something was happening. That’s not a bad thing, it was just hard for me to follow and took a lot of concentration for me. Even then, it was hard to track. The book also really dropped off with my interests. I think that it’s partially because I don’t think that Francis was the maker of modern France. I honestly don’t. Yes, he was a king who did a lot with his throne. Mainly fight battle after battle (and not always win) against the Hapsburg ruler, Charles V.
That’s basically what stands out in his rule for me. His battles and fights. Henry VIII, while at first a threat to him, faded into the distance once he focused on domestic problems… aka his marriages. But, Charles was the constant thorn in his side and I find the relationship they had fascinating. One day, I think I’ll reread this book when I’m more ready to absorb a ton of new information. Definitely not a bad book, but not the right time for me. Do you have a ruler that interests you most? What royal relationships (lovers, marriages, enemies, etc) interest you the most?